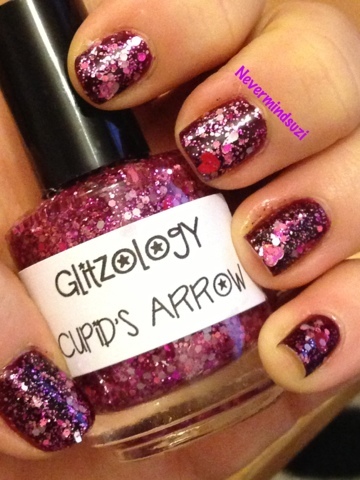 I've got a gorgeous Glitzology for you today and it's PERFECT for Valentine's Day! 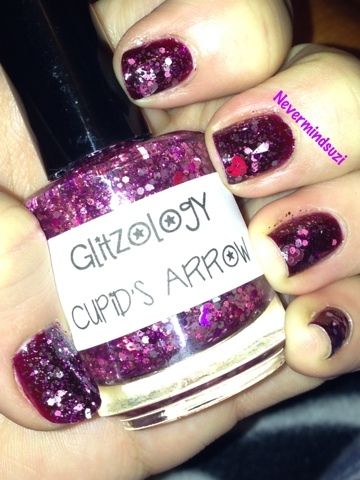 Cupid's Arrow (shown here over Nails Inc Victoria) is choca-block full of glitters! Pinks, reds, everything you could want and to make it even better.... Heart glitters!